Kurt is an entertainment lawyer and has been actively involved in the music industry for the past two decades. His clients range from Juno-winning bands, record labels, publishers and managers, to the smallest up-and-coming artists. He tours the country regularly with his band One Bad Son, working with some of the biggest names in the music business, like Def Leppard and Judas Priest. 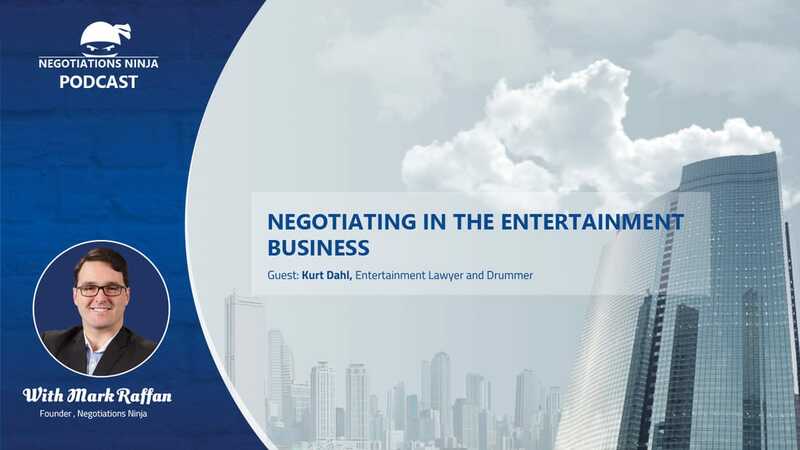 Kurt and I talk about negotiating in the entertainment business, what some of the misconceptions about the entertainment business are, and what business people can learn from negotiations in the entertainment business.